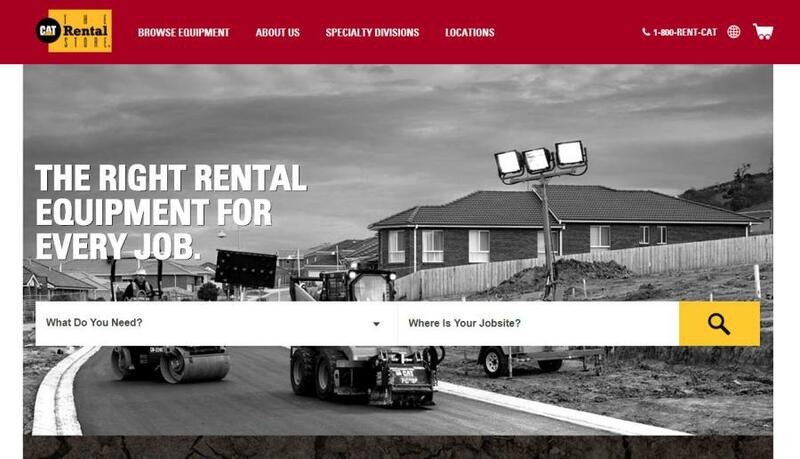 The new Catrentalstore.com web and mobile experience, to be launched March 2019 in the United States first, is a continuation of the Caterpillar focus on digital innovation designed to enhance the rental experience. Caterpillar Global Rental and Used Equipment Services and a large number of U.S. Cat dealers are launching new features for Catrentalstore.com and Catused.com that will significantly enhance the ability of customers to manage rental and used equipment activity and information. New for Catrentalstore.com is the portal feature for My Account online services, which will be available to customers via a web app accessed through the web browser and native app on the mobile device. The new capability is designed to significantly improve customer efficiency by allowing quicker access to account information, expanding what a customer can do online (i.e., request a quote, call-off, or request 24/7 service), and by improving customer ease of use, whether via desktop or phone. A complete refresh of the Caterpillar used equipment website, CatUsed.com, which has been serving customers globally for more than 17 years, further expands customers' direct access to high-quality Cat equipment from the Cat dealer network. Whether customers are investigating low-hour machines as an alternative to buying new, or searching for less expensive, higher hour machines with trusted reliability, CatUsed.com provides many choices. Customers using CatUsed.com can be assured that Cat Certified Used equipment has been selected, inspected and serviced to meet the highest standards by the world's leading construction and industrial equipment dealer network. More than 22,000 used pieces are available — construction equipment, power systems, attachments and agricultural equipment — all provided by more than 150 Cat dealers in the network. 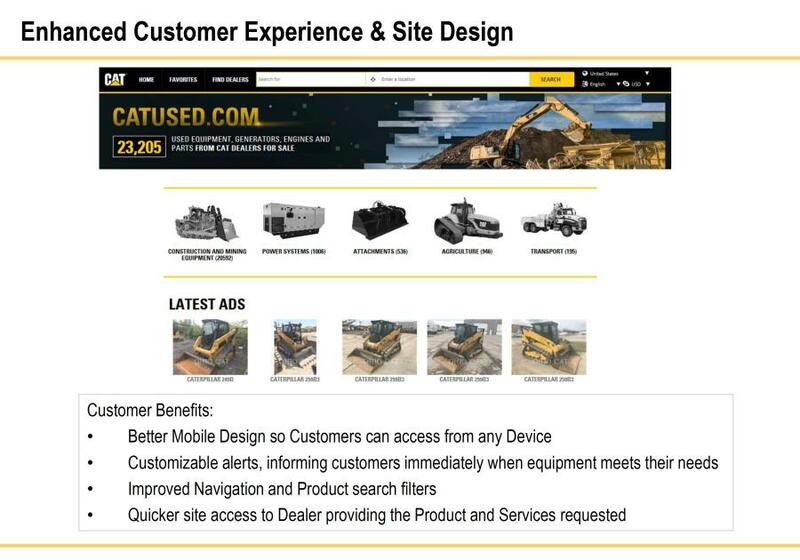 New features for CatUsed.com include enhanced mobile design, allowing customers to access the site from any device; custom alerts that inform customers immediately when equipment meeting their needs becomes available on the site; and more information about the services offered by dealers and the assurances given with Cat Certified Used equipment. The new CatUsed.com site will be available globally January 2019 in 12 languages. The site is also responsive, providing a premium experience for customers both online and offline.